It makes me very happy to be nominated for these awards by In A Messy World . I want to thank In A Messy World for this nominations. Like In A Messy World, I’ve never heard of this award before so this is why it’s given. 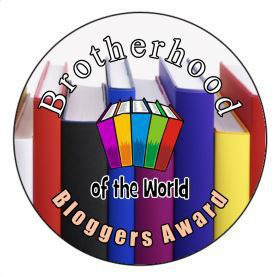 The Awesome Blogger Award is an award for the absolutely wonderful writers all across the blogging world. In my opinion, I’ve been fortunate to meet some of these bloggers. If you have a beautiful, encouraging, funny and being an inspiration to everyone this award is for you. Which would you choose between a successful career and a lover? Interesting question. I hope I wouldn’t have to choose but be able to have a 50/50 balance of both. What was the last dream you remember having? Last dream I remember was early this morning. It was on bee’s nest and my neighbors and kids were in my dream. I woke up before I saw the ending of my dream which happens with most of my dreams. Your most embarrassing moment? Honestly, I don’t remember. Least favourite movie? The Russians Are Coming. Want something to put you and/or your guests to sleep this will do the trick. What are your long-term goals? Really don’t have any. Your Favourite Food? Hot Wings. What keeps you going? The hope I have Eternal Life when I die. Which 3 words would you use to describe yourself? Encouraging, hopeful, Christian. Thank You and congratulations on being an awesome blogger. What’s the best thing you participated in? What’s your favorite television program? Do you like to talk politics? Any advice to bloggers you want to give? If you were on an island and you were only allowed one luxury item what would it be(Keeping in mind food and water aren’t luxury items but necessity items)? 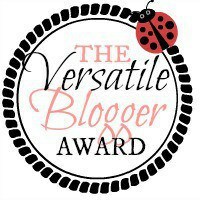 There are so many people with awesome blogs that my 5th nominee is any one who has an encouraging blog and is a beautiful person. 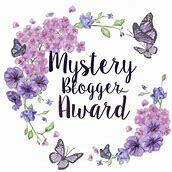 I hope some of you that isn’t listed above does this award because you deserve it and don’t forget to link back to my blog. You’ve heard the saying “Beauty is in the eye of the beholder”. How true this is because what may be ugly to one person may be pretty to another. So before you go calling someone ugly or different remember there’s someone out there that might consider you ugly and also remember we are all different in one way or another. 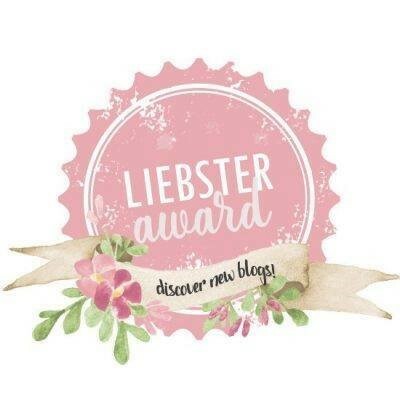 POST THE AWARD ON YOUR BLOG(PLEASE NOTE NO AWARD IMAGE FOR THIS AWARD). LEAVE A LINK TO THE ORIGINAL CREATOR TAG CREATOR TO GET A BIT MORE INFO ABOUT WHY THIS TAG WAS CREATED! THE LINK THAT I WAS GIVEN IS ThoughtfulTash. WRITE 10 THINGS YOU LOVE ABOUT YOURSELF AND WHY. I LOVE MY HAIR. My hair is naturally curly and I only have to get it cut a few times. Also, I haven’t had to color or dye my hair yet. I have NO grey hairs. I love the fact I can wash my hair and go. No mouse, styling, curling iron needed. I LOVE HOW I CARE. I love how I can care about others when they come to me with their problems. I LOVE THE FACT I’M A BULLYING SURVIVOR. You read right I survived being bullied. I was bullied through college and with the support of my family and my faith in God got me through it. I LOVE THE FACT I ACHIEVED 2 DEGREES. I graduated from a community college with an Associate Degree in Elementary Education then transferred to a 4 year university where I achieved a Sociology Degree(BS Degree). I was told after Highschool by a counselor that I would never achieve either of these degrees. I LOVE THE FACT I’M SINGLE. I must admit that this was something I wasn’t crazy about when I was younger but as I got older and wiser and I got I actually love being single. I can do things when I want and can change my schedule if need be. I LOVE HOW I’M DIFFERENT/SPECIAL. I’m one of a kind and despite what others may think I love the fact I’m special/different from other people. I LOVE MY BLUE EYES. I love my blue eyes because they go with every outfit and I don’t need to wear colored contacts. I LOVE MY KINDNESS. I’m one who likes to meet new people and go up to people and say hi and welcome them. I not only enjoy meeting new people but learning about others and where they come from. I LOVE LISTENING TO OTHERS. I like listening to others problems and giving them advice. Sometimes it’s easier because we’ve been through the same/similar situation. I Love Me Because I’m A Christian. This may seem like a crazy answer to some people but when I asked Jesus into my heart my life totally changed for the good. I’ve been blessed many times over. Is my life easier? Not always but at least I know Jesus is there to help me. I could go on and on about What I Love About Me but won’t because my post would be too long. MY 5TH NOMINEE IS ANYONE WHO WOULD LIKE TO DO THIS AWARD. 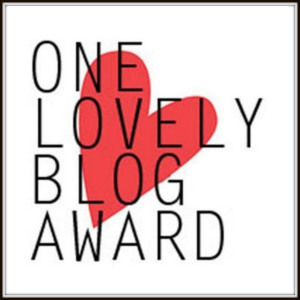 THERE’S A LOT OF GOOD BLOGS OUT THERE THAT DESERVE THIS AWARD. SO PLEASE DO THIS AWARD AND LINK BACK TO ME IF YOU DO THIS AWARD. Hello everyone and welcome. 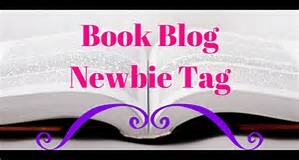 Simple Serenity has done a Tag called the Beauty Tag and nominated everyone who reads her post which can be found HERE. Please understand my answers will be from when I was younger mostly since I’m allergic to ALL makeup I’ve tried. 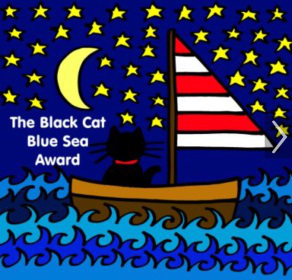 I want to Once Again, I want to thank Simple Serenity for nominating everyone who read her post/blog. 1.) What do you love about makeup? When I wore makeup I loved it because it covered up my blemishes. It also made me look good too. 2.) How long does it take for you to do your makeup? When I wore makeup it took anywhere 5 to 10 minutes. Since I only where lipstick or chapstick now it doesn’t take that long. 3.) Do you remember your first makeup item? 4.) Will you leave the house without makeup? Yes. Since I’m allergic, I do it a lot. Anything on sale, right color and as long as it looks good. Favorite — No. 6.) Name a makeup crime that you hate? There are many but one that comes to mind is when I was in college, a young woman was coming up the hill I was going down and I thought I’d entered a Halloween party this young woman had that much makeup on and it was on thick and it looked to be in layers too. I could go on and on about this crime but won’t. 7.) What product do you buy mostly? Lipsticks and glosses. I have a lot. 8.) One makeup product you can do without? Always carry a cosmetic mirror/powder to touch up your makeup. 10.) Matte lips or Lip gloss? Glossy lips all the way but sometimes wear matte lipstick. 11.) Do you wear fake eyelashes? 12.) What is your most cherished beauty makeup product? Face powder was my most cherished beauty product. Tough question. I really like the Clinique brand. 14.) What is your skin type? Very Sensitive, Pale, Freckled and normal to oily. 15.) How many times do you wash your face daily? This may sound crazy but due to my very sensitive skin, I don’t wash my face daily but only a few times a week. Yes. In my younger years, I used an Acne cream to try to get rid of my acne because I knew it worked. I used it this time to get rid of my acne and I broke out with more acne. It had the opposite reaction. 17.) Do you like trying out new skin care products or do you stick to a routine? 18.) Do you think you look good even when you don’t have makeup on? Absolutely. I love how I look and if other people don’t like how I look, that’s their problem. My Nominees Is Everyone that reads this. Link to this post and let me know if you do the Beauty Tag so I can check out your answers. 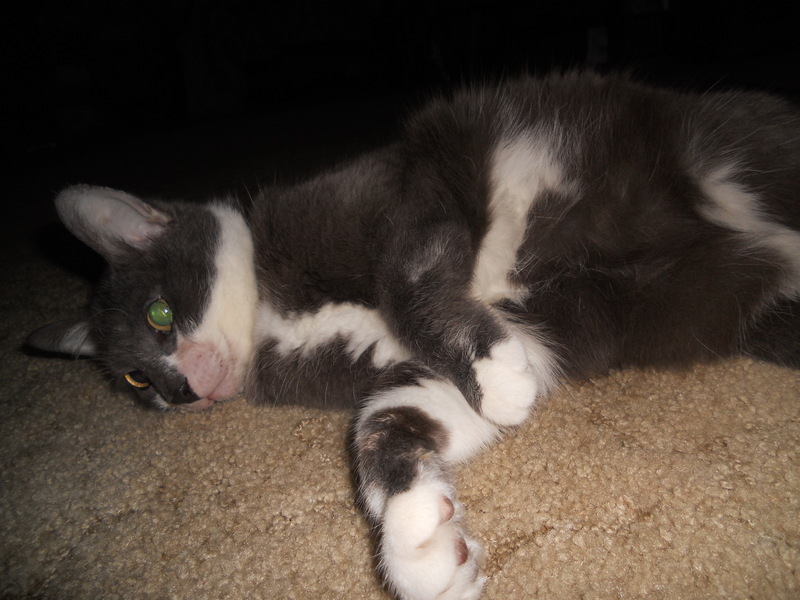 I have 2 blogs and they are WELCOME TO CRYSTAL’S SITE(ORIGINALLY COUNTRY LIVING) and CRYSTAL AND DAISY MAE’S PHOTO-BLOGGING SITE. I’ve never texted in my life. I like NASCAR(Mostly Monster Cup Series). I met Maya Angelou when I was in college. I have 2 college degrees(Associates In Elementary Education and a BS In Sociology). I would just love to go to Ireland. 15. I took 12+ years of Piano lessons. 16. I’ve had dogs as pets before. Their breeds were Shepard/Husky Mix, Alaskan Malamute and other breeds. 17. I was picked on/bullied through college graduation. 18. I live in the country. 19. I like to read. 20.Never lived in the city.